Severe or chronic nausea and vomiting is not normal behavior for the human body. If you have been suffering from nausea or vomiting for two weeks or more, it may indicate that you are suffering from more than a passing sickness. Gastroenterologists consider two weeks as a benchmark for when a condition becomes persistent. Once the situation persists beyond four weeks, it is considered a chronic condition. Dr. David Yamini recommends seeking a diagnosis as early as possible in order to establish the cause of your nausea and sickness. The digestive tract is a complicated system that is prone to a large number of health conditions, many of which express the same or similar symptoms. Nausea and vomiting may indicate acid reflux, hepatitis, Crohn’s disease and many types of cancer. Nausea and vomiting are symptoms rather than a cause, which means seeking a diagnosis is as important as receiving treatment. You can treat the symptoms using over-the-counter medications. However, that is not addressing the root cause of the issue. More problematic still, the underlying condition may be serious and could result in long lasting health issues. A gastroenterologist can use diagnostic medical tools to establish the cause of nausea and vomiting, which will allow you to receive treatment for the conditions that are affecting your gastrointestinal health. Recovering from many of these conditions relies on receiving fast and effective treatment from a specialist. That means trusting your care to a professional like Dr. Yamini and his team. 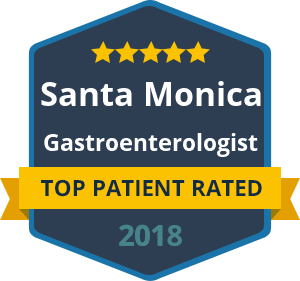 For a consultation to help us diagnose the cause of your nausea and vomiting, arrange an appointment today in Santa Monica or Beverly Hills. Dr. Yamini and his team will provide you with expert care throughout every stage of your treatment and aftercare.